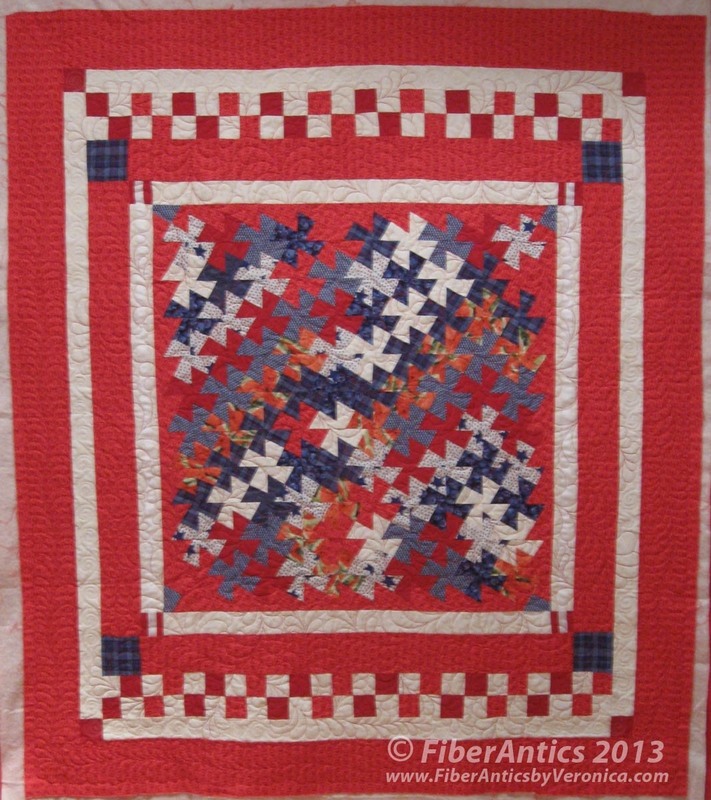 Fiber Antics by Veronica: Blueberries, watermelon and feathers! 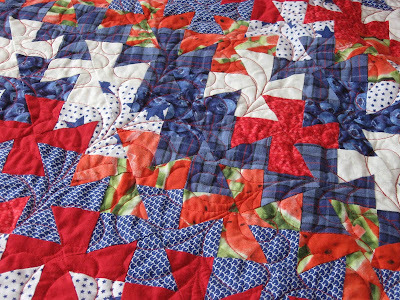 Kim's red/white/blue Twister quilt top that I showed you in this post, has been quilted. I still love the red-and-white checkerboard that appears only on two sides. 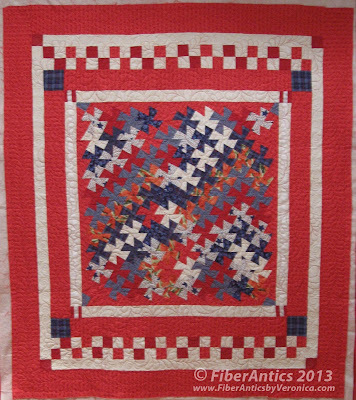 Red, white and blue twister quilt. Approsimately 55" x 63". 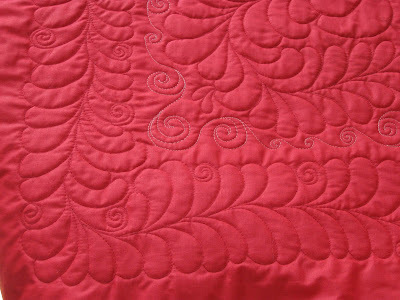 Free-form feathers in a rich Christmas red thread [Wonderfil Kotton, 50 wt. 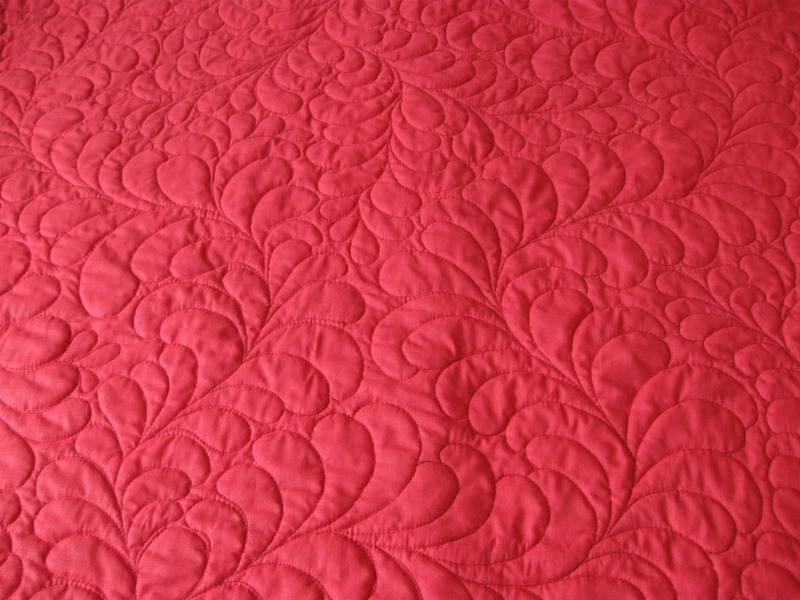 cotton] were quilted throughout the center. Twister center with blueberry and watermelon fabrics. The feathers spilled into the second inner border. Free-form feathers spilling into the white border. The thread was changed for the white border. And changed again for an outer feathered border. 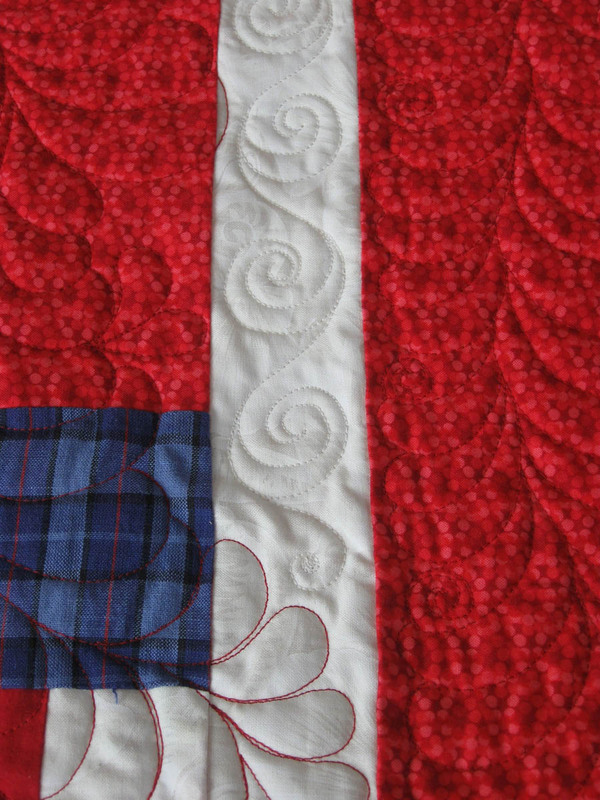 Free-motion quilting in the inner and outer border. 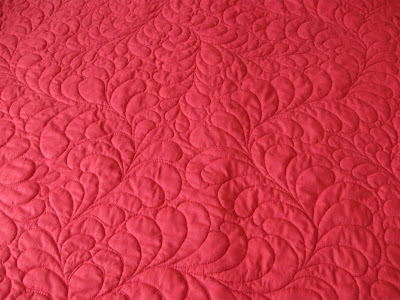 Here is the back—which really shows the quilting since Kim chose a solid fabric. Detail of quilting from the back: outside border and corner. 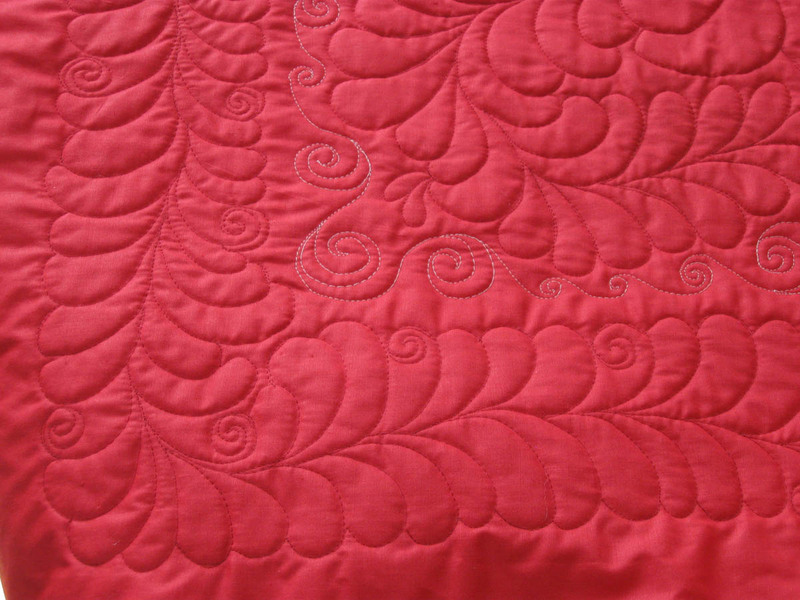 Free-form feathers intertwine and meander through the center of the quilt. This is a happy quilt! What color do you think she will use for the binding? 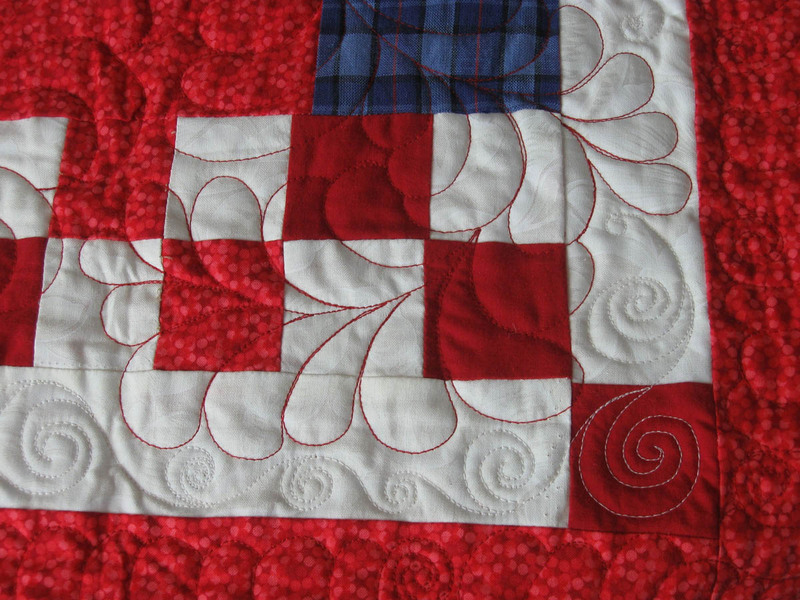 Quilting is alive and well in Chattanooga!